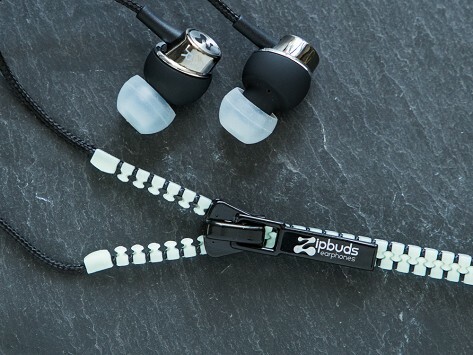 Zipbuds Juiced 2.0 combine great sound, colors, and the company's patented never-tangle zipper cabling. These earbuds are designed for the everyday listener, and the comfort-fit earbud shape is angled for a secure and fit that feels good, too. Dimensions: 5" x 3" x 1.25"
I loved these things. So did someone else so i'll have to get another set. A gift for my daughter so she could throw these in her purse without tangling. Great! M y husband loves this! No more knotted cord. Life gets messy, but your headphones don’t need to. 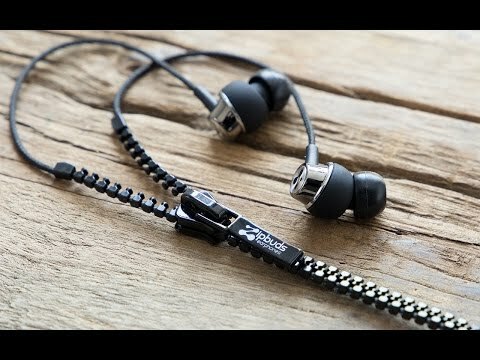 Zipbuds put an end to tangled headphone cords with a zippy design (literally). Juiced, the original design, has unique zipper-integrated cabling that uses military-grade technology to provide strength and performance. The zipper resists knots, holds up to a heavy workout, and is flexible enough to keep up with all your moves. Unzip the cord to get more slack or zip it up tighter for a snug fit. The newest Slide earbuds have a zero-friction slider. They call it a “zipperless zipper.” With a clean, distortion-free mix of clarity and bass, these buds have award-winning sound. Founders Erik Groset (the offspring of a famous inventor, his great-grandpa invented the ice cream cone-making machine) and Robin DeFay (a former pro poker player) are lifelong buddies. They started Zipbuds in 2007, and even earned an invitation to The White House to speak about their business. We can thank them for letting us spend less time untangling cords and more time enjoying the music.